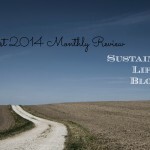 The following blog post is part of the The Road to Financial Wellness Blog Tour. Over a period of 30 days, the Phroogal team will go to 30 locations to raise awareness about financial empowerment. Today they will be in Cheyenne! Our goal is to help people learn about money by starting the conversation. We understand that local conversations can help bring about national awareness. Today, in what will be a first in my blogging career (if you want to call it that) I’ll be attending an event that I was tangentially involved in organizing. For those of you in Cheyenne, WY (or nearby) feel free to come to Lions Park where Phroogal is teaming up with Warren Federal Credit Union and offering a financial seminar. It’s in the Kiwanas house at Noon, for those wanting to attend. It’s a part of Warren’s Member Appreciation day, which starts around 11:30, and they’ll have youth activities, lunch and more. I’ll be there around 11:45, and if would love to meet any readers. As a part of The Road, Phroogal asked everyone who was participating to share a story of financial empowerment. Here’s mine. There are quite a few things that have led me to where I am financially, and many of them I’ve written about here. The one that sticks out as the real turning point to me though, was when I went to grad school. When I got to grad school, I had 1 friend, and she had to be my friend because she’s my sister. I didnt know anyone, which after a few days I came to realize would probably be a good thing. I was never much of a spender, but when I was in undergrad I was not very good at saying no, so whenever someone invited me to lunch/dinner/for a drink, I usually said yes. I knew a lot of people, so this happened quite often. It started costing me money – a lot of money, as you can correctly assume. I did some things here and there to cut costs and make things cheaper, but I didnt do the best (and easiest) thing: Say no. In grad school, I was in a very small program and didnt have any friends, so there was no one to say no to. That, coupled with the fact that I knew what I was earning every month and had been told in no uncertain terms that the plug was getting pulled, it was time for me to do something about it. For the 2nd time that I can recall, and the first time in at least 12 months, I gathered all of my financial stuff and got it in order. Even though I wouldnt be paying it for a few years, I got my student loan data as well, and made a budget. After looking at the numbers for a while and gathering everything, I realized that for the first time ever I could build a savings account, as long as I stuck to my modest dining out/entertainment budget. There was not enough to make significant progress on my debt or student loans, but there was enough to chip down and to save some. It was the first time that I can remember that I actually felt like I could be in control of my finances, instead of letting them control me like they had been the last few years. I wasnt making a ton of money, but my expenses were very low (probably less than $400 per month, and certainly less than $450). I looked at that sheet, and I finally felt like I could get things under control. I had a budget, I had a steady income, a fairly stable list of expenses, and room to save. I could finally start making progress, and all I had to do was act. I also started reading up quite a bit about money. I read a lot of The Simple Dollar and Get Rich Slowly in those days, and learned that my problems were more psycological with money, so I worked on those as well. I started to tell myself (and occasionally others) that I’d have to skip something that wasnt in the budget. I’d suggest cheaper activities (like frisbee golf) or having beers at someones house instead of going to a bar. Even though you could get an 18 oz beer for 2 bucks, I typically skipped it. After quite a while of struggling, that was the moment that I finally felt empowered with my finances. When did you feel financially empowered? I’d say I felt financially empowered for the first time during college when I realized I could pay for my semester abroad in Spain without help from my parents. It was extremely empowering to pay for something that most people’s mommies and daddies were paying for for them. Not only did this experience make me feel capable of achieving financial goals, but it allowed me to realize the opportunities that saving money can give. While many of my friends spent their hard-earned dollars on eating out and clothes during our first year of college, I was hunkering down and saving up for my semester abroad that entire time. If my friends went out to eat, I ate before I showed up and drank water at the restaurant. Small sacrifices like these allowed me to follow my dreams of travel and empowered me to know that I could accomplish anything with a little ambition and discipline. Just proves the power of small changes and how they can yield big results.